Rachel was the best and easiest decision for our entire wedding! She captured our day perfectly and we couldn’t have been any happier with the results. She was organized, helpful and knew how to keep everything going! Before the big day, she worked with me in figuring out the timeline of pictures and even helped with the overall timeline of the day! She knows what she is doing and I highly recommend listening to her suggestions! We never once felt rushed during the pictures (or rest of the day) and I give that credit to Rachel! She was also amazing at wrangling everyone together for the pictures. Both my husband and I have big families and had a big wedding party, but that didn’t even phase Rachel. She knew exactly how to keep the pace going to ensure we captured all of the groups we wanted and she knew how to pose us! This is HUGE. She knew how to bring out everyone’s true personality and it showed in the pictures. The best part was getting all of the images back! Within only a few weeks we had all of the images back and the quality and mood of the images was everything and more we could have ever dreamed of. She knows her lighting, she knows how to pose everyone and she definitely knows how to capture it all at once! Absolutely thrilled that we chose Rachel and I would recommend her to everyone! Rachel did our engagement photos and it was the best experience we could have asked for! It was a cold January day but she made it SO much fun with her direction and posing for us we weren't even thinking about how cold we were! We had such a blast and she captured our love so beautifully. Every little moment between us, every laugh and every look between us, she captured in the most beautiful way. Not only was the shoot itself a blast but she sent us samples for a sneak peak THAT NIGHT. She was so thoughtful of our deadline and SO amazing. The online album is also extremely user friendly and it was easy to choose our favorites and download them in high resolution to use for our prints. Rachel is the best of the best and anyone she shoots is lucky to have her! How can I even begin to put this in to words?? Rachel EXCEEDED our expectations times 1,000! My fiance and I had no idea what to expect going in to our engagement session. We'd never had professional pictures done of just the two of us before, so safe to say we were pretty nervous! Rachel made us feel SUPER comfortable and I honestly just felt like we were hanging out with one of our friends. She took everything I said into consideration, while also pushing me out of my comfort zone a little (since she is the expert). Our pictures are some of the most beautiful I've ever seen, I actually started crying when she sent us our sneak peaks. And she was SO fast about getting all of our photos back to us. I can't wait to have them printed and hung all over my house! Rachel is truly SO talented! Her eye for photography and truly grasping the moment and the connections between soulmates is amazing. I had ZERO fear of my photos turning out anything less than perfect. 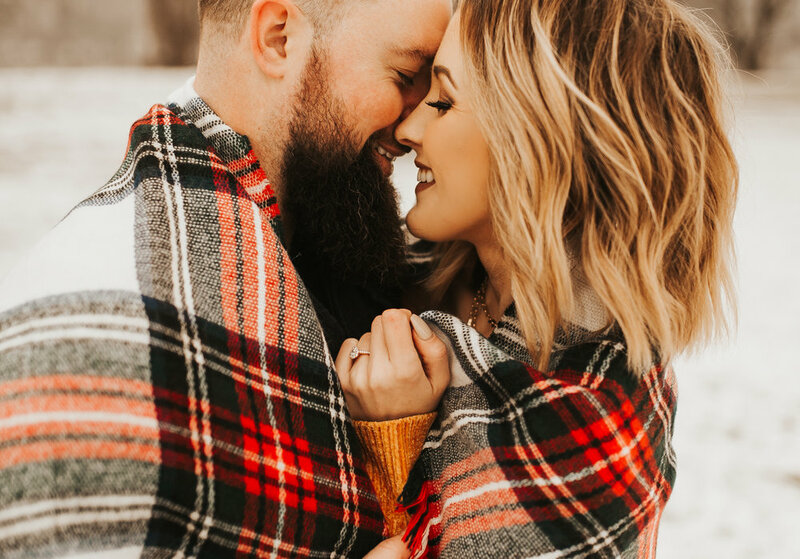 Rachel made sure to give my husband and I a sneak peak of our engagement session & wedding day photos, (GREATLY APPRECIATED). Also, she has so much fun and makes the session easy as a breeze. No discomfort at all. The amount of photos that were taken makes the session(s) WORTH EVERY SECOND & PENNY. Rachel truly cares about her clientele as she made Adam and I feel cared for in every way. I could truly go on and on and on. THANK YOU RACHEL! OUR WEDDING WAY WAS CAPTURED *PERFECTLY* BECAUSE OF *YOU*! I always love hearing your thoughts on your experience with me and also if there is anything I can do to better my services for you in the future! I would LOVE if you sent me your thoughts! This can be anonymous or not! Thank you so much, I truly appreciate it!